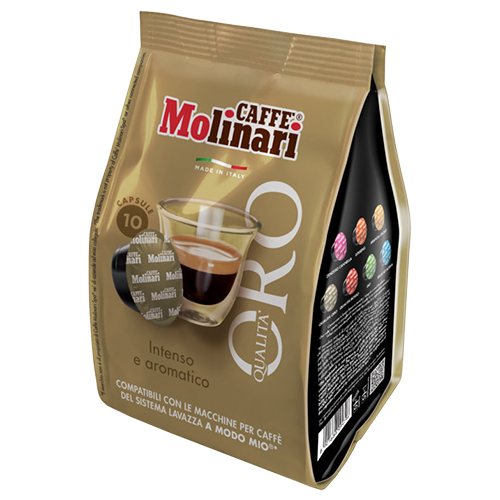 Molinari itespresso Qualità Oro A Modo Mio coffee capsules is a perfect mixture of Arabica beans and Robusta beans. This is what gives the coffee its caracteristic body, creaminess and aroma. Molinari Qualità Oro is for those who are used to only the best.